The ISUD (Integrated Sustainable Urban Development Strategy) projects seeks to catalogue a specific city as a Smart City or Reduce Pollution in a certain area. 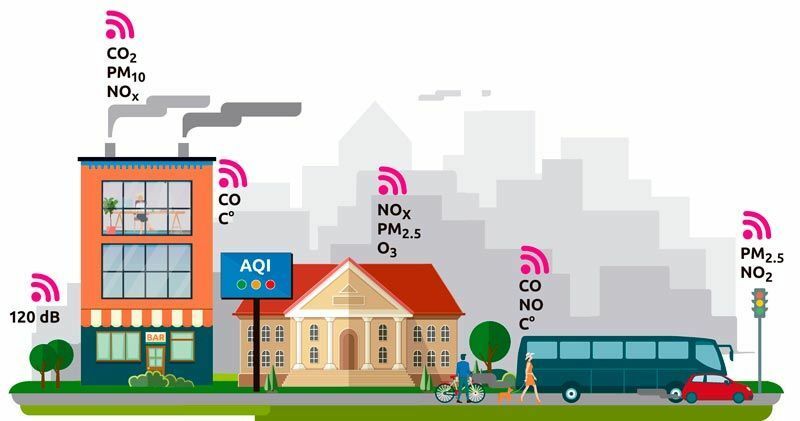 This often requires the deployment of sensor networks to monitor air quality and noise indicators, own communications, create management platforms or mobile applications that enable the disclosure of the data obtained, and thus guarantee “Open Government”. The Kunak Environment 4.0 systems enable the obtaining of those EDUSI indicators required by the ERDF Funds, aiding in the justification of actions and providing citizens easy access to quality information through the council website or Smart City platform.